Today I received the results of my VO2 max test on the bicycle. As every year, this slightly old-fashioned Institute for Sports Medicine just gave me a printout printed on a line printer. I am surprised they are still able to purchase the paper for their printer. (Or perhaps they bought sufficient paper for a few decennia at the end of the communist era.) So I spent some time happily typing the values into my spreadsheet. In contrast to a year ago, the graphs have textbook quality. 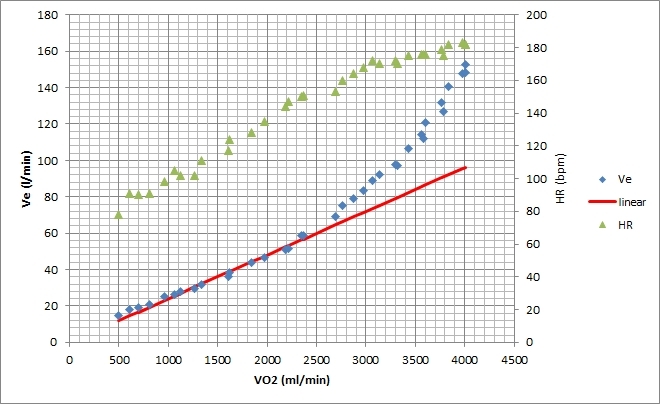 So my VO2 max is identical to last year at 56 ml/min/kg. However, I achieved a slightly higher Power at 365W (5.07 W/kg) vs 350W a year ago. 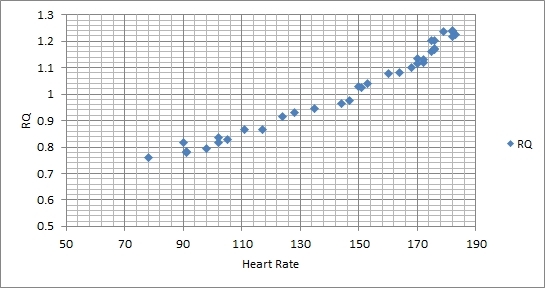 The ventilatory threshold seems to be around 150 bpm at 234W. A year ago this looked more like 160bpm at 215W. My max HR during the test was 183bpm, vs 182bpm a year ago. I have seen higher values in races and trainings. So what’s the conclusion? I guess I optimistically interpret this as a slight improvement. 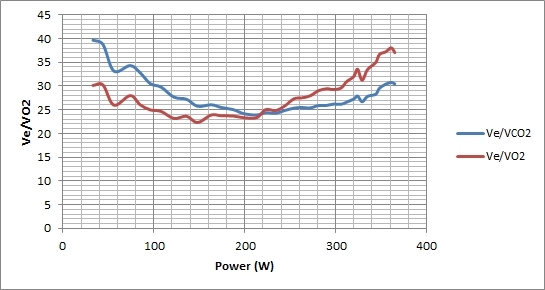 Still, race performance will depend more on being rested and motivated, and on technique, than on my “raw power”. 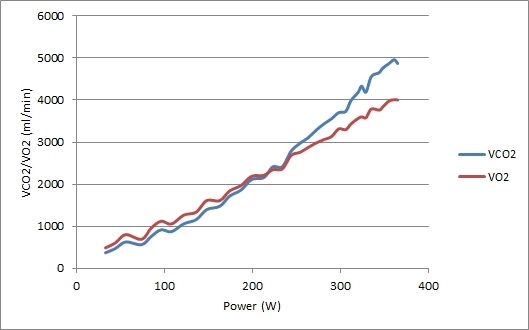 Not sure how the cycling power correspond to erg power.